The province is asking for input as it moves forward with a plan to improve the training, testing and oversight of all drivers, particularly those in the commercial trucking industry. 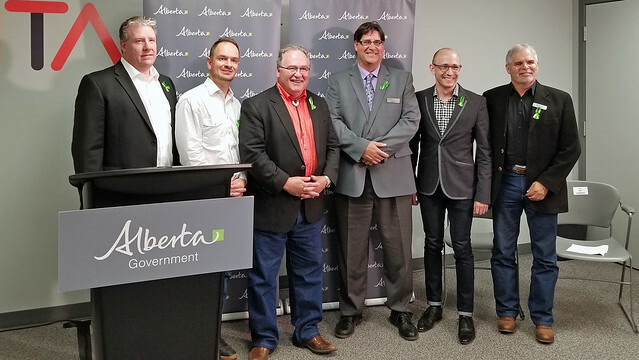 Minister Mason launches commercial trucking consultations at Alberta Motor Transport Association in Rocky View. Mandatory entry-level training for commercial drivers. Pre-entry requirements for new commercial carriers. Modifying the road test model for all driver’s licence classes. Alberta will also consider introducing requirements for new commercial carriers starting business in Alberta to prove their compliance with national standards before receiving safety certification. Right now, the province gives new companies a 60-day period to prove their compliance with federal transportation safety regulations. The province intends to eliminate the 60-day period. Alberta is planning modifications to the road test model for all classes of drivers, including the possibility of restoring driver examiners as government employees. These changes come in the wake of a 2016 independent report which identified issues in the industry, such as inconsistent road test fees, poor service and improprieties, including criminal activity in some cases. Alberta road test fees are the highest in Canada and government will be seeking feedback on this as well. The province will conduct consultations throughout July 2018 to consider these three initiatives. Classes 1 to 4 are professional licences for commercial vehicles, including tractor-trailers, buses, taxis and ambulances. Class 5 - Graduated Driver’s Licence (GDL) and Advanced - is the licence most Albertans hold to drive passenger vehicles. A commercial carrier is the owner of one or more commercial vehicles used for the purpose of transporting goods or passengers, and holds the appropriate safety and operating authority certificates to do so. In 1993, the Government of Alberta privatized driver’s licence services and the road test model. Prior to that, road test services were provided by government; driver examiners were government employees.